Hello, my name is reverend master J’iam – reverend means “servant of the people”, master means “servant of Man” and J’iam means “Servant of Love.” So my job is obviously to serve. 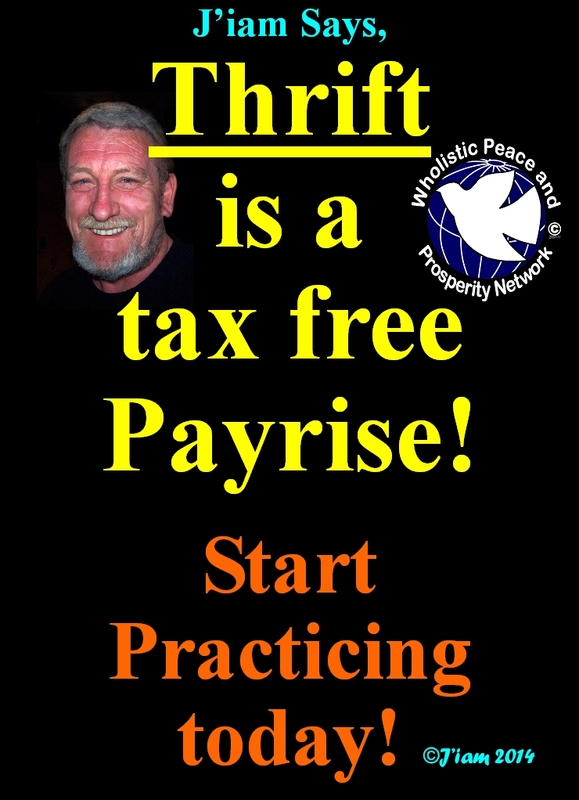 To this end I have been building a new organisation that will replace capitalism and usury in the world, called The Wholistic Peace and Prosperity Network (WPPN). 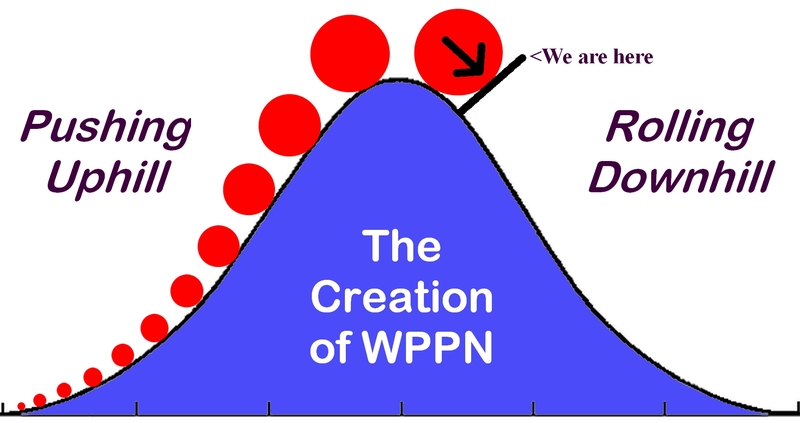 WPPN was revealed to me in an epiphany/vision in 1992 and I have been quietly working on it since then (22 years). About five years ago I was given it as a thirty year mission that ends in 2036 when I am 85, so it has now moved into actuating/activating time. The time has come to expand it from three members to 100 members, then onto a thousand, then ten thousand, one hundred thousand, a million and so forth. To achieve this expansion I need help, so I am calling out for gifts of money, time and commitment. Those of you who who are already wealthy (abundant and happy) I ask for gifts of capital – I need $100,000 to set up the administration/accounting side working effectively and automatically, to start cooperative businesses and to get other aspects of the network going too. My most urgent need is an effective internet accounting system – this costs $15,000 to set up. To those of you who are not yet wealthy (Abundant and Happy) but who are Poor and Happy, I ask that you aid me by becoming a member, offering “Sweat equity” or goods. This has been my contribution for the past 22 years. I work an average of 6 hours a day, 5 days a week (one day for Rest and one day for Recreation) so I have worked over 34,000 hours on this project and still have another 34,000 hours of work to complete. But I am at the half way point of my journey and my energy expands and the task/mission gets easier because I am no longer pushing it uphill on the bell curve! In fact my energy is now added to by the gravity of the curve as I am heading downhill and no longer have to push it, only having to guide it in the right direction as it gathers momentum. I have personally gifted over $30,000 in cash to the network. Others have gifted over $5,000 to it so far, but there is still about another $100,000 needed. Also the Poor, or those who want to be Poor, can join the network and use the synergy power of WPPN to create a virtuous cycle for themselves. This is the true power of WPPN! By using WPPN as an education and testing ground, you can create a larger private banking system! What is better than one private family bank? Why two of course! But the pitfalls of lack of knowledge and the fault of lack of self-discipline are the main destroyers of family banks and so the investment of $25 per month becomes the stabilizer in your own family bank. Simply do the things with your own family bank that you do with WPPN and you will ensure the safety of your own assets. To those of you who are already wealthy you will agree with every word I’m speaking. From you I would like a gift of capital to help build the network. And also perhaps for you to join to increase your wealth and as a demonstration to those who are hesitant to join. This is exactly what His Holiness Jesus did when He was baptised by John the baptist! He didn’t need a baptism but He did it as a demonstration on commitment (there goes the C word again) to others! Today I have asked you to gift to WPPN. It is up to you to decide what you can gift – it may be a fortune, a moderate amount or a widows mite, all are important. If you can gift time/service – “sweat equity” – and that is important too! Even gifting goods is important as that is the third form of energy! The W in WPPN Stands for Wholistic, which means “FULL”, energy Goods, Services (time) and Money. If you want to be a manufacturer then there is a formula you need to know that is very important. This formula gives you the mark-ups for the whole string of mark-ups, so that you instantly know what to sell your products at retail. Many years ago I work like a demon for six months to fulfil an order for clipart art for a company that was setting up as manufacturers. They wanted 1,000 pieces of clip art and I managed to produce 600 in six months. This was a good experience for me because I found out my maximum capacity for clipart production – 100 per month or an average of 5 per working day. When the time came to go into manufacture I gave them the formula for the end costings and explained why it was necessary. About a month later they sent me the finished product and gave me a price for it. The price didn’t reconcile with my pricings so I phoned them up and asked them how they arrived at this end price. They told me that my formula made the price too dear so they chopped 33% of the wholesalers mark-up! I said that they wouldn’t sell any copies at all which is exactly what happened! Why, because the wholesalers wouldn’t carry it, the reason being is that they weren’t allowed to make a profit! Would you work for nothing? I don’t think so! So this formula is very important to your success as a manufacturer. It is also important because if you want to manufacture a new item you can simply use the inverse of the formula to find out from an opponent’s retail price what it cost them to manufacture. So if a new item appears and it costs $24.95 retail you can tell to the exact cent how much it will cost you to manufacture that item. If you can’t do it within that price don’t even bother starting. So I am going to end this story here at this point. If you are interested in manufacturing then simply send me an email and I will forward you a PDF of the full article. This is a secret after all and not available to everyone. But it is available from me to everyone who asks for it.